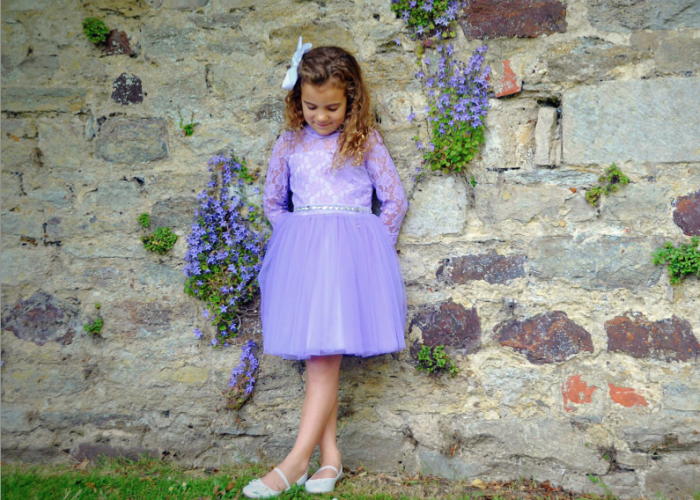 Have you noticed how people always say that there are so many beautiful clothes out there for little girls but not for little boys? 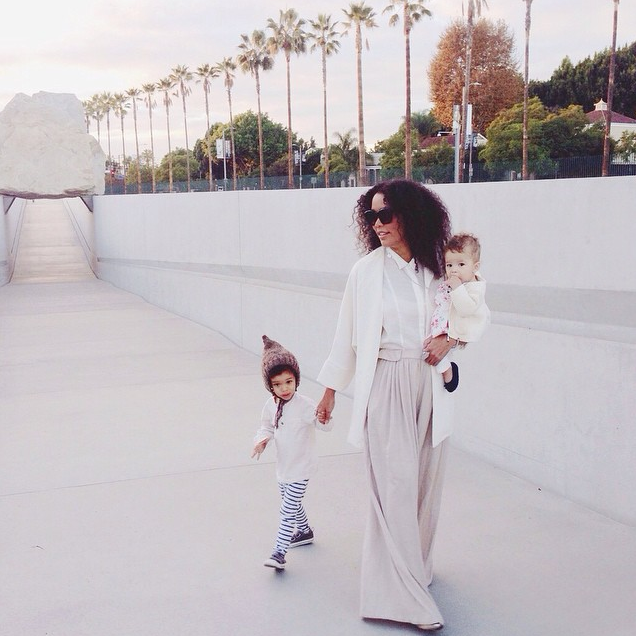 Well here at Mama Style we are determine to squash this myth! We see so many gorgeous boys clothes so decided to put together an edit of our absolute favourite boys clothes for this season! We are completely in love with these bamboo rompers from Bambini and Me. 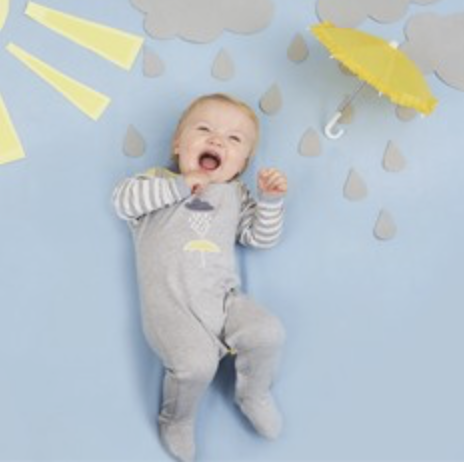 Bambini & Me's eco-friendly range of clothing is made from ethically sourced bamboo and the prints are just adorable. Our favourite is this Rabbit print but there are plenty of adorable prints to choose from. As well as helping with temperature control, bamboo clothing is perfect for wicking away moisture from the skin and ensuring breathability, so this romper can be worn layered up for trips out and about or worn alone for playtime at home or overnight sleeps. 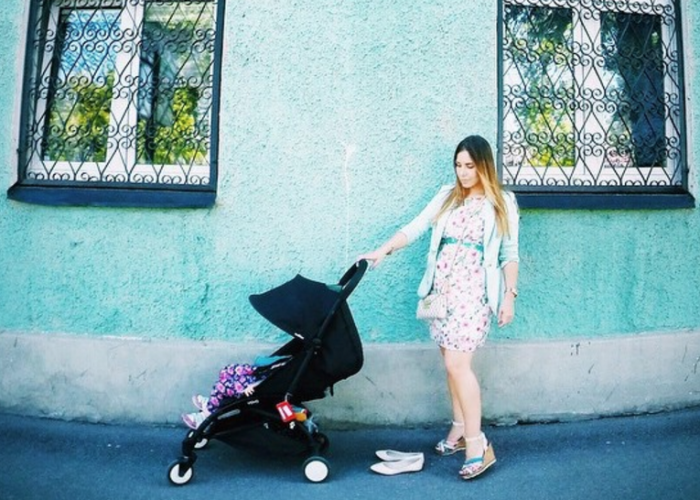 Not only does the romper feel luxuriously soft and look fantastic, it has poppers all the way down the front and each leg for quick and easy changing and it has no neck label to irritate baby’s neck. This romper washed so beautifully, even after a few washes, it kept is super soft feel and the colour stayed perfect. We love that this romper comes in 0-3 months, which is perfect for a tiny newborn as well as 3-6 months and 6-12 months. 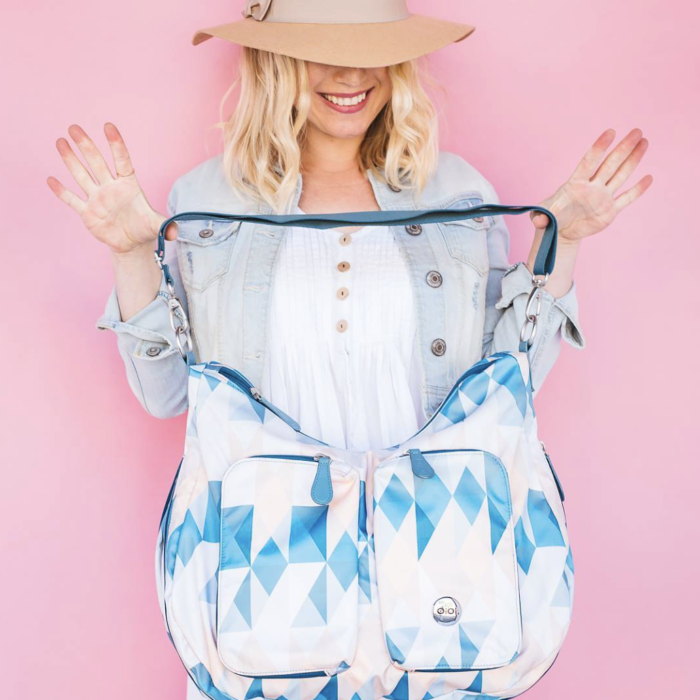 Be sure to check out the other designs as they are all equally as adorable. Frugi is one of our favourite clothing brands for little ones, not only is all their clothing eco friendly but their designs are just too cute for words. We absolutely adore this 2 pack of Scrumptious Babygrows, one of the babygrows features an all over penguin print and the other features one large penguin motif on the front. The babygrows are made from super soft organic cotton interlock and have poppers at the side of the neck and at the crotch for easy changing. 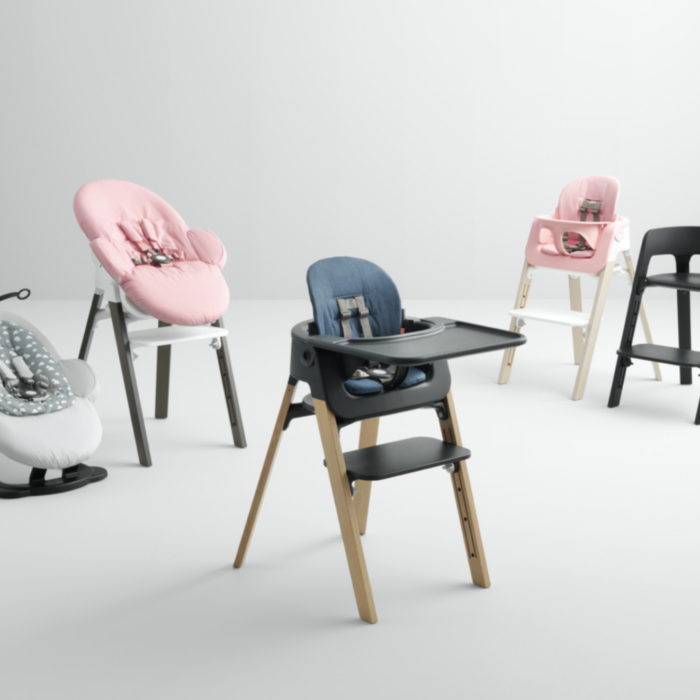 Both rompers have feet to keep little feet warm and have integrated fold back scratch mitts to protect little faces from sharp nails, and no scratch labels to irritate baby's neck. We have washed the rompers a couple of times and they come out perfectly, they keep their super soft feel and the prints have not faded at all. 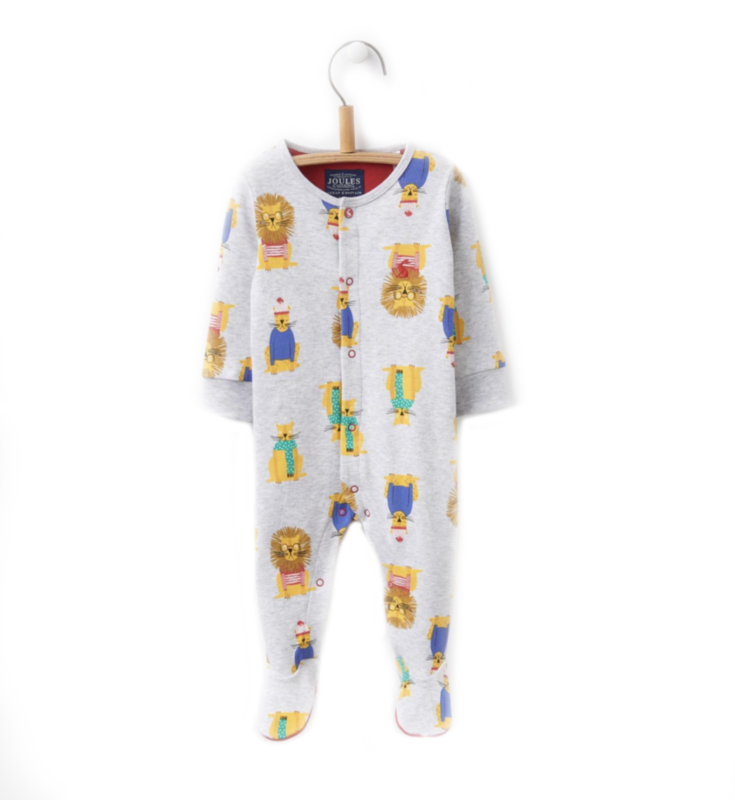 We just love the quality of Joules baby clothing and this all-in-one babygrow is no exception. 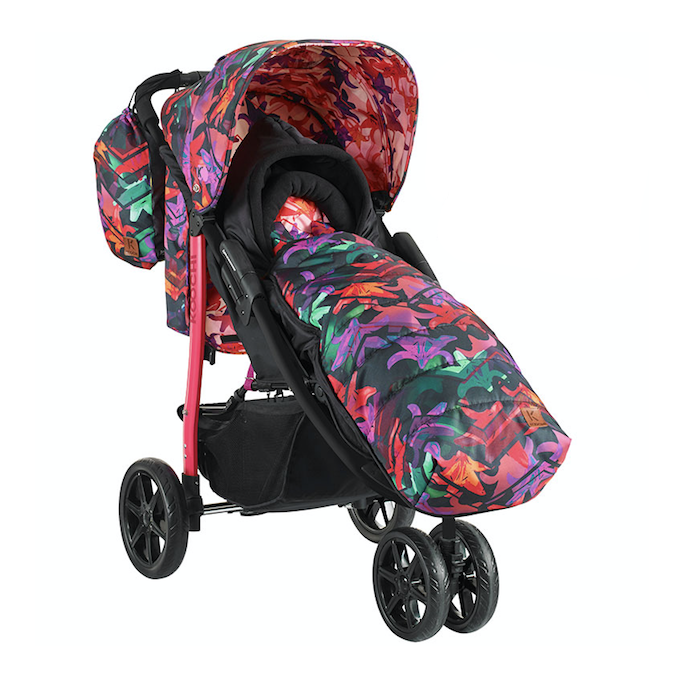 Crafted from the finest 100% cotton it feels so soft and the hand-drawn animal print is really vibrant. 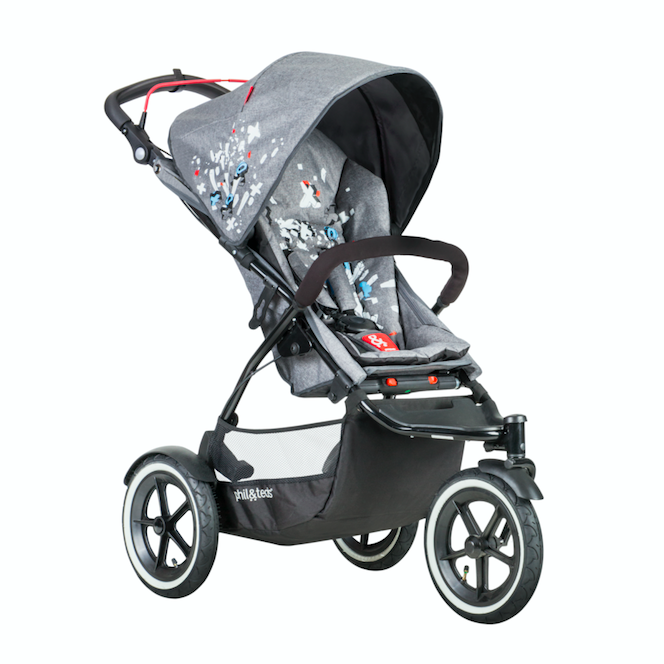 It features little feet to keep toes nice and warm and it has poppers down the front and legs for easy changing. We have washed this romper a handful of times and it come out just like new. 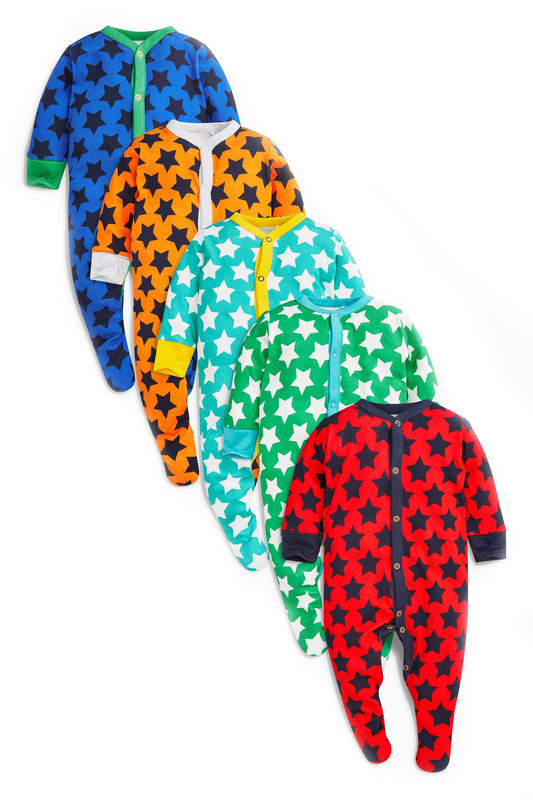 Next are fantastic for their multipacks of rompers and sleepsuits and this 5 pack of star print sleepsuits is no exception. 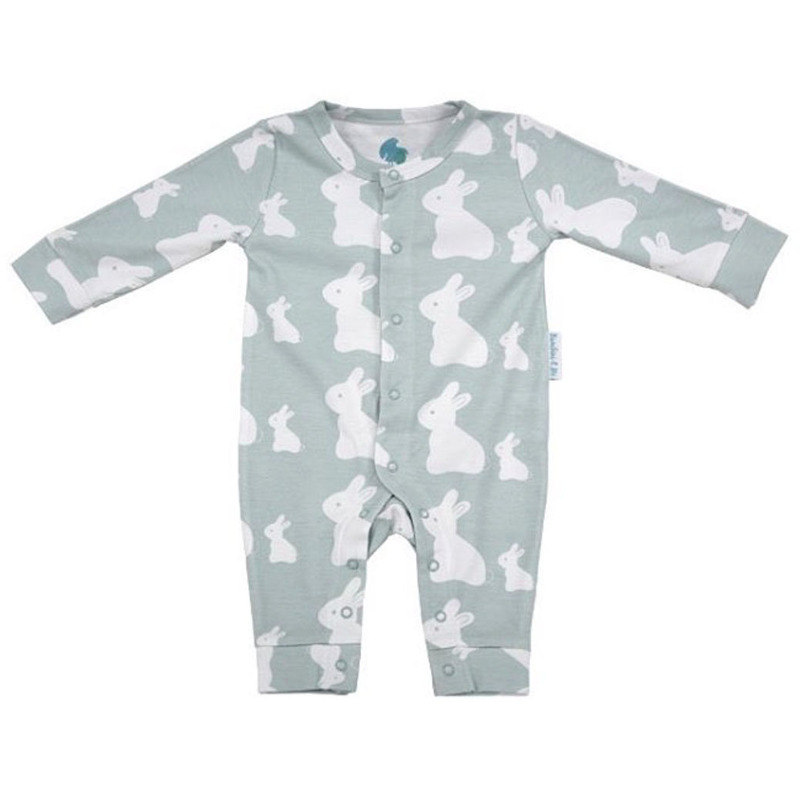 Perfect for day or night time wear, these rompers are lovely and soft and feature little feet for keeping toes nice and warm. There are poppers down the front for easy changing and no scratchy labels in the neck. Like all Next baby clothing these rompers wash beautifully, time after time. 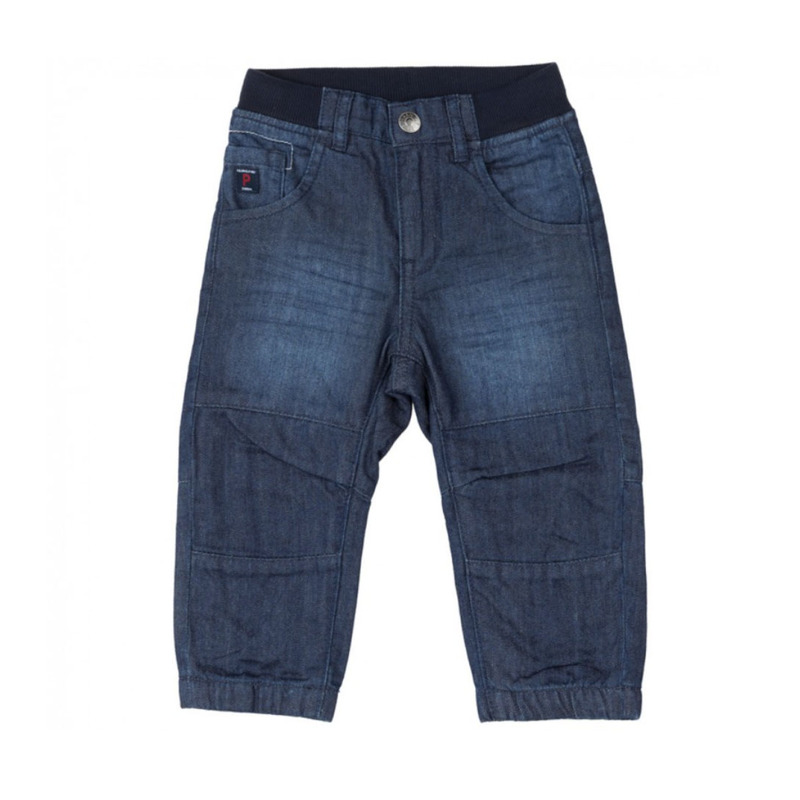 At £20 for a pack of 5 these rompers offer incredible value. 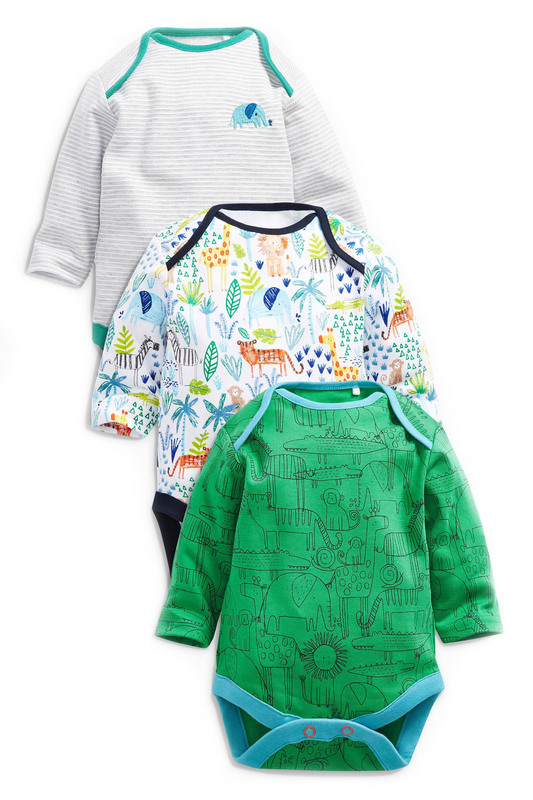 We love this 3 pack of bodysuits from Next, perfect for budding vets and zoologists! These bodysuits are really soft and each features an adorable animal print. 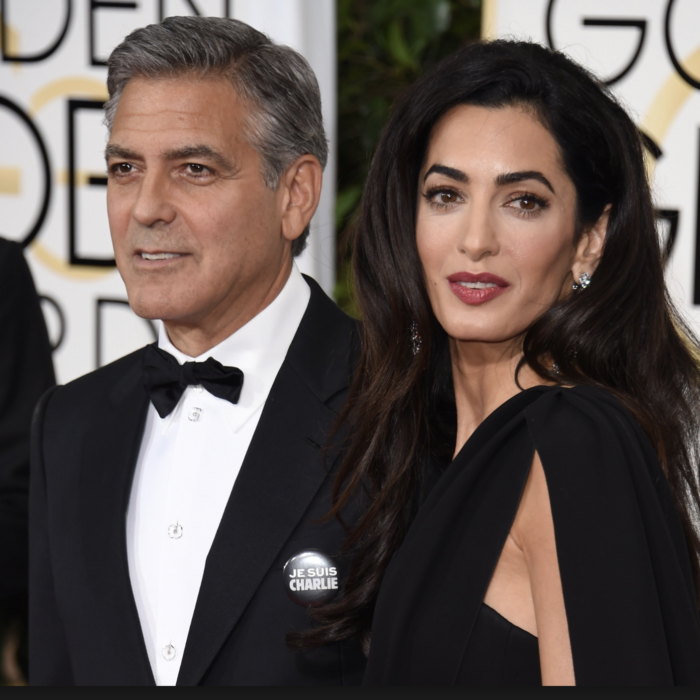 they have extra stretch necks for easily placing over baby's head and poppers at the crotch for each changing. Each time we have washed these bodysuits they retain their softness and vibrancy. These 100% cotton rompers from Next are just adorable and perfect for budding little farmers. 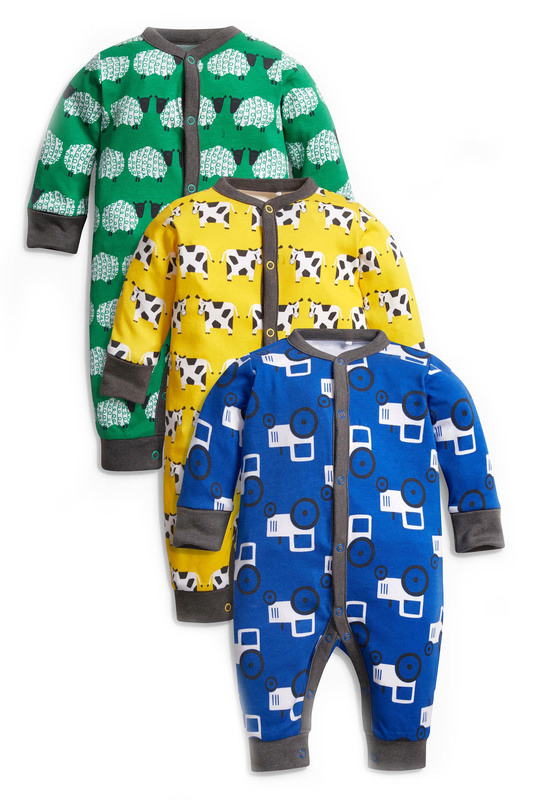 The rompers are nice and soft and feature tractor, sheep and cow print. Each one has poppers down the front for easy changing and no scratch labels in the neck. The rompers wash really well and haven;t lost any softness or colour vibrancy. This little cloudy skies print top and bottoms from Rockin' Baby will certainly brighten up any gloomy day. Made from 100% cotton, they are super soft and they wash really well, no matter how many times you wash them. Whats more, for every item of clothing sold Rockin' Baby donate a like for like item of clothing to a baby in Haiti. 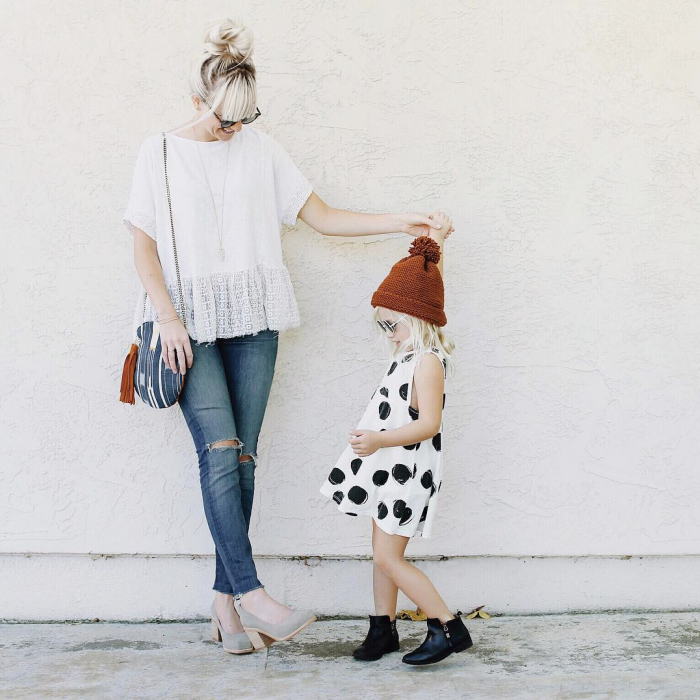 So your little one will not only look great but you will be doing good every time you buy their clothing. A beautiful cardigan is an essential part of any baby's wardrobe, no matter what time of year they are born. 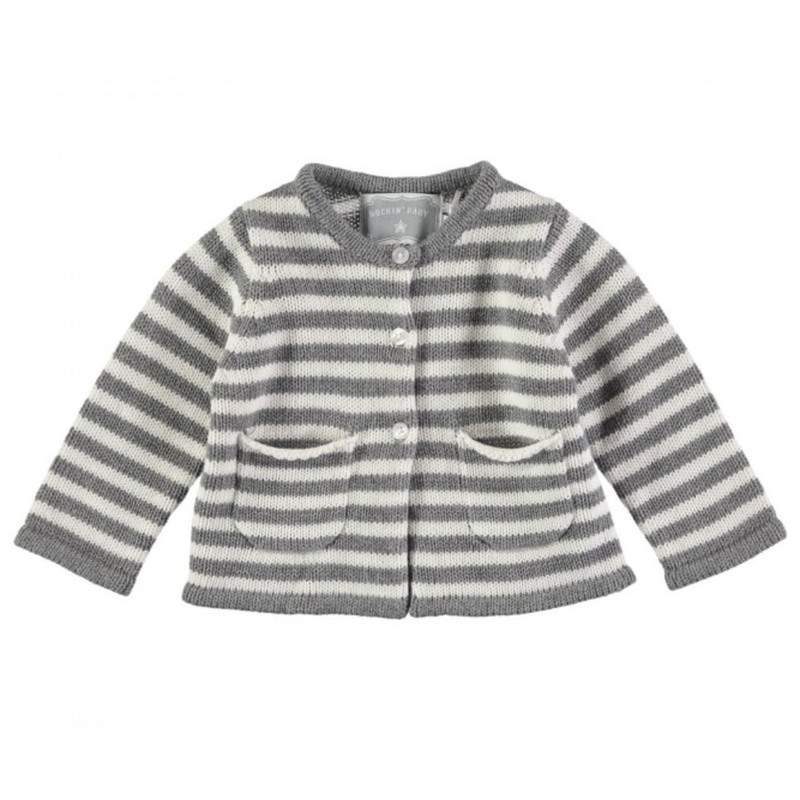 This gorgeous knitted stripe cardigan from Rockin' Baby will go with any outfit and will keep baby warm and cozy when out and about. 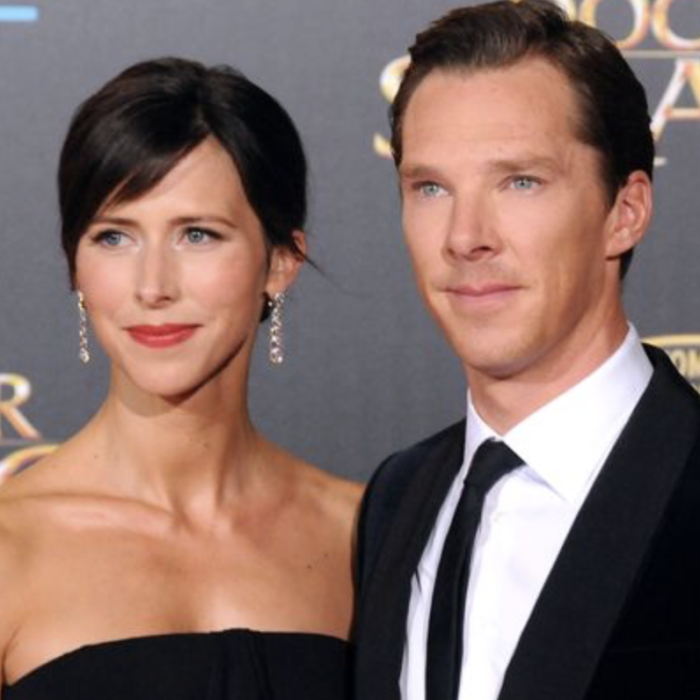 The cardigan can be put in the washing machine and it washes really well. 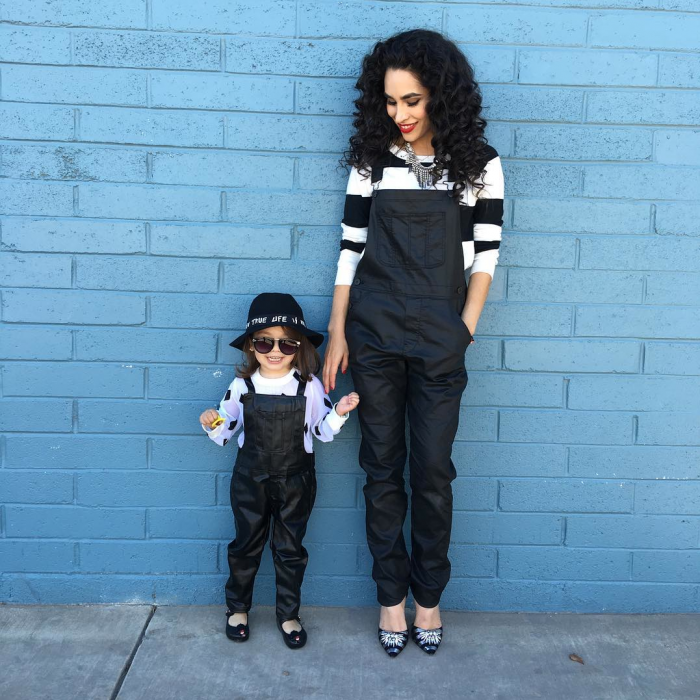 A pair of denim jeans is a must-have for any stylish baby, but you want to make sure that they are going to be comfortable. These soft jersey lined 100% cotton baby jeans from Polarn O. Pyret are perfect for keeping little ones warm as the seasons change. 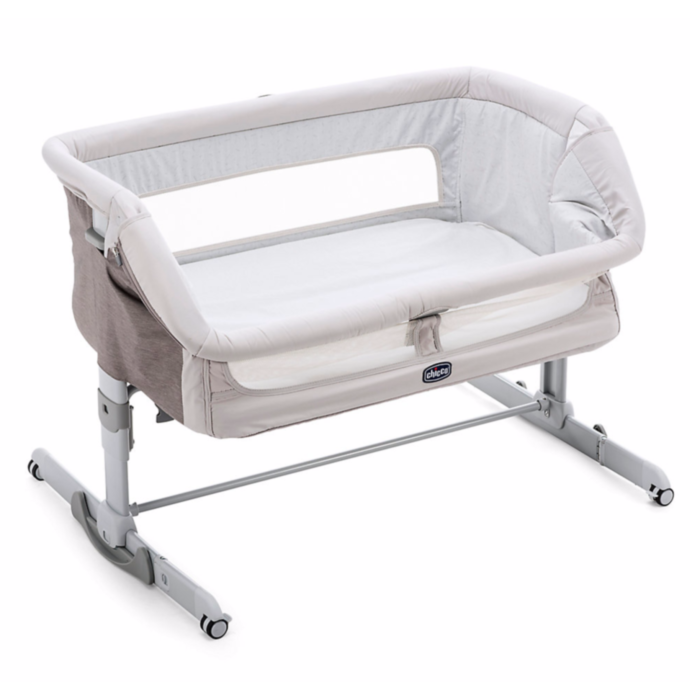 They fasten with a popper and a zip and feature elasticated leg cuffs for a great fit. 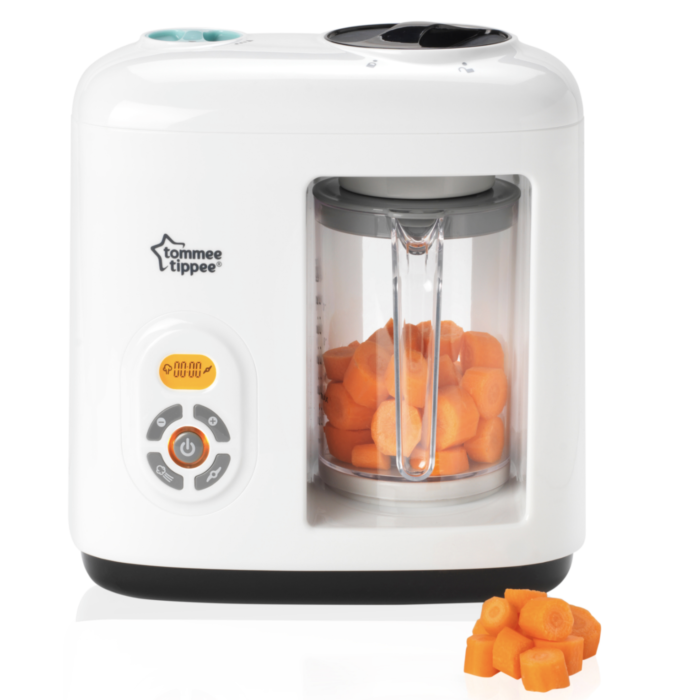 As well as being super soft and comfortable they wash incredibly well and come out just like new, wash after wash. 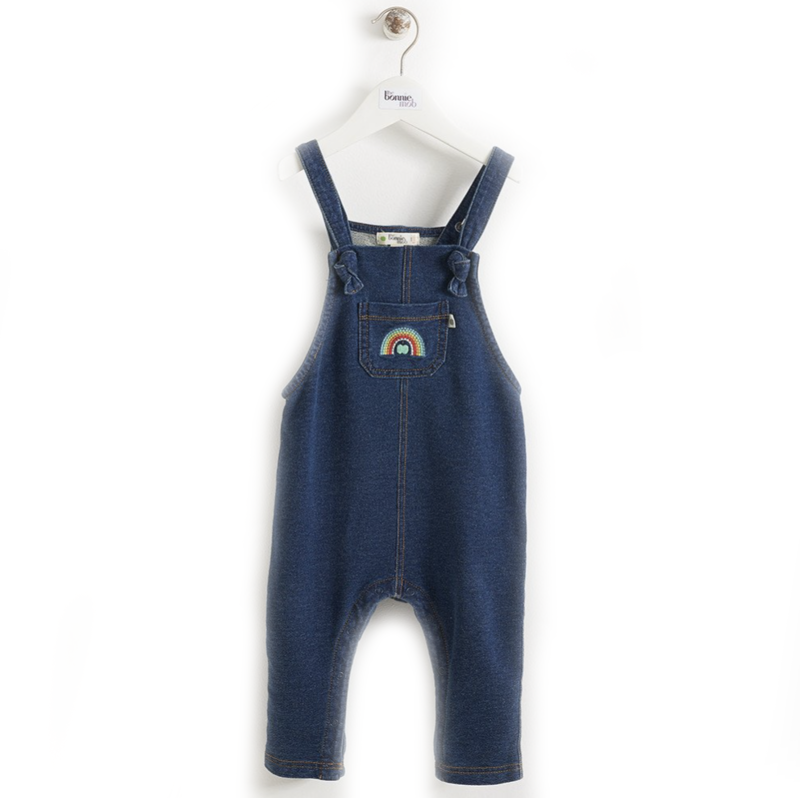 There is nothing cuter than a little one in a pair of dungarees and these super soft Maverick dungarees from the Bonnie Mob are just adorable. With a lovely rainbow motif embroidered onto the front pocket they are made from the softest 100% cotton and feature poppers down both legs for easy changing. They wash fantastically well and come out just as soft as new. These dungarees look fantastic paired with any top, but we especially love them paired with the Bonnie Mob Bernie Badges T-shirt. We love this adorable t-shirt from the Bonnie Mob. It is made from super soft organic cotton and features an all over Tiny Tree print. It comes with a fun Iron-on Badge pack including a 'Bear Patrol', 'Star Gazer' and 'Journey North' badge for you to able to customise it. The t-shirt washes really well and keeps all its original softness and vibrancy. As with all Joules clothing, the quality of this two piece set is just fantastic. It is made from the softest cotton and features an adorable appliqué tiger print on the t-shirt with matching stripy leggings. The t-shirt features two simple poppers at the neck for easy on and off changing and the leggings feature a roll up or down waistband to adjust the length by a couple of inches. 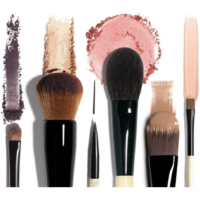 The set washes like a dream and comes out good as new after countless washes. We absolutely love this warm and cozy winter jacket from Mountain Warehouse. The Samuel Parker Jacket is water resistant so is perfect for keeping your little one dry through the wet and windy months. 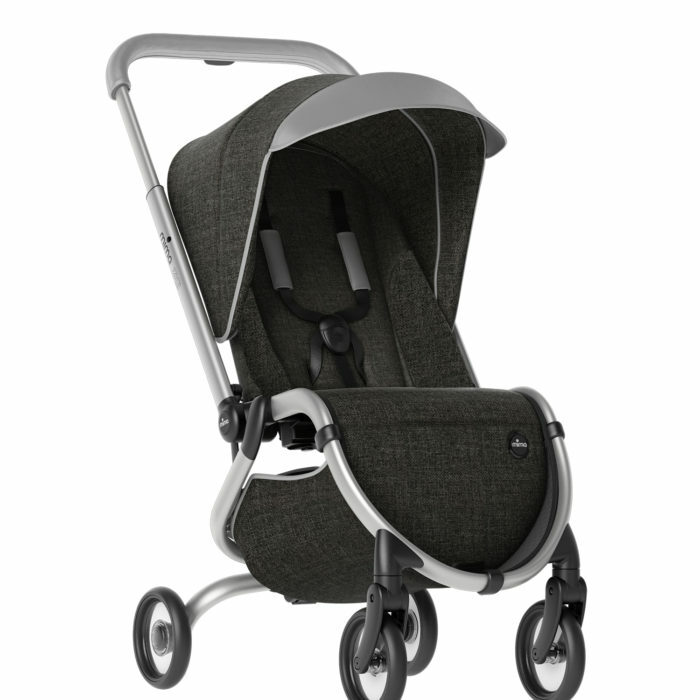 It has a microfibre filling and soft Sherpa fleece lining for extra warmth. It has a cosy fur-trimmed hood for keeping wind and rain off your little ones head and the hood even has fleece lining which makes it one of the warmest hoods we have come across. With the cold weather finally upon us, it's vital you have a warm and cozy snowsuit to keep your little one nice and warm throughout the colder months. We absolutely love this Candy Mountains Snowsuit from Little Green Radicals. 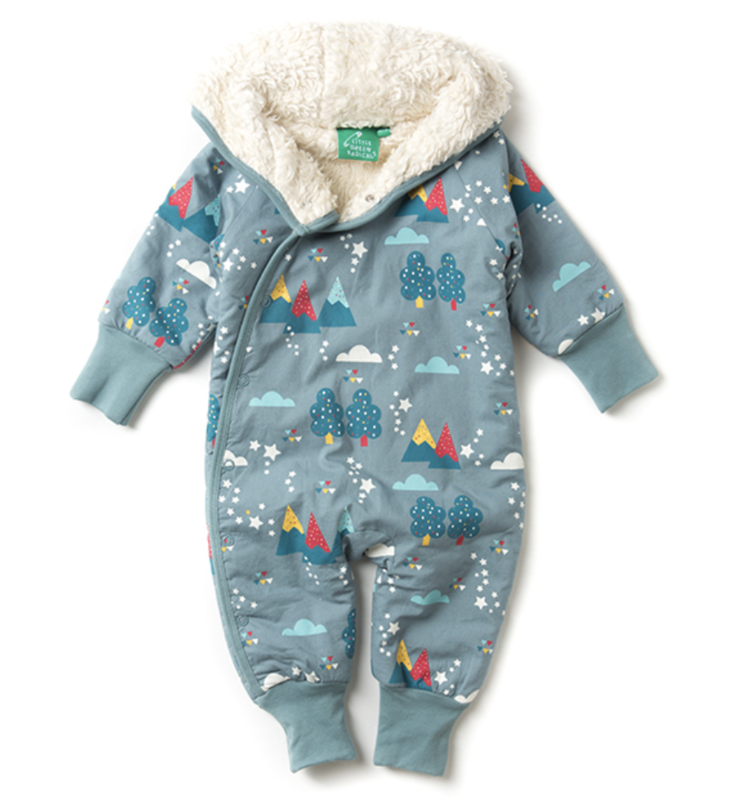 This gorgeous suit is so snuggly, it's fully lined with organic breathable cotton sherpa and the design is beautiful, you will constantly be asked where you got your lovely snowsuit from! 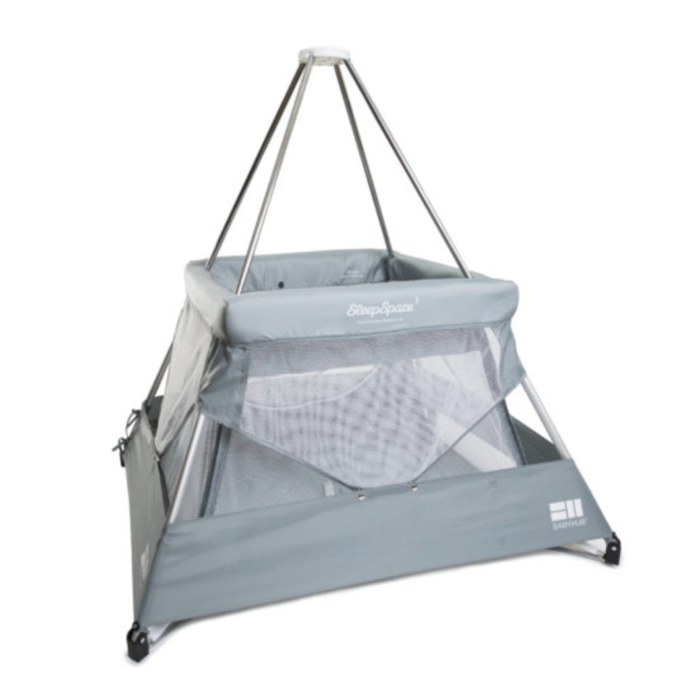 It's made from 100% organic cotton and it is machine washable. 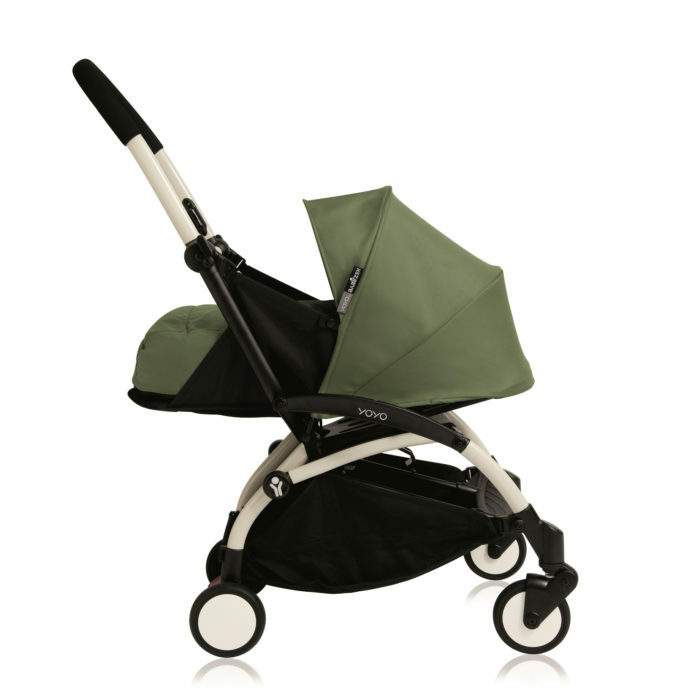 The sizing is really generous, so it should fit your little one for two Winters if you are lucky. Every toddler needs a great waterproof jacket, and we just love this Snowstorm jacket from Muddy Puddles. 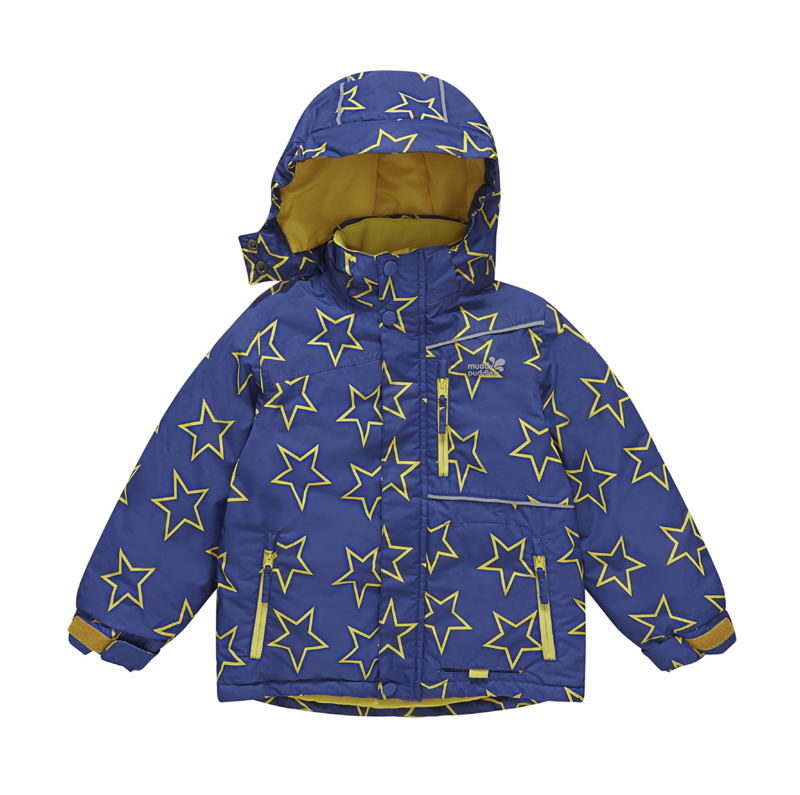 Not only does this jacket look fantastic with its bold star print and contrasting yellow lining, it has all the features you would expect from a Winter coat, whether your little one is on or off the slopes! 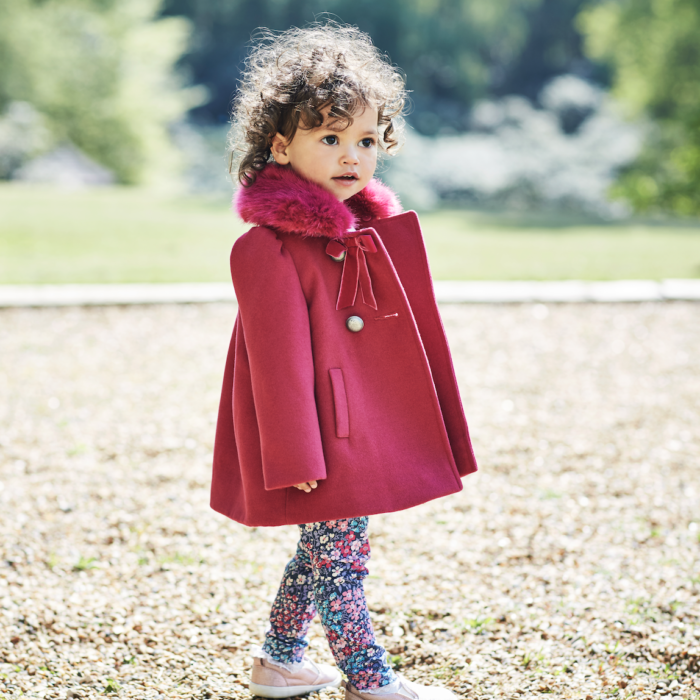 The coat is super padded for maximum warmth and because it is waterproof and windproof your little one stays warm and dry no matter what the weather conditions. 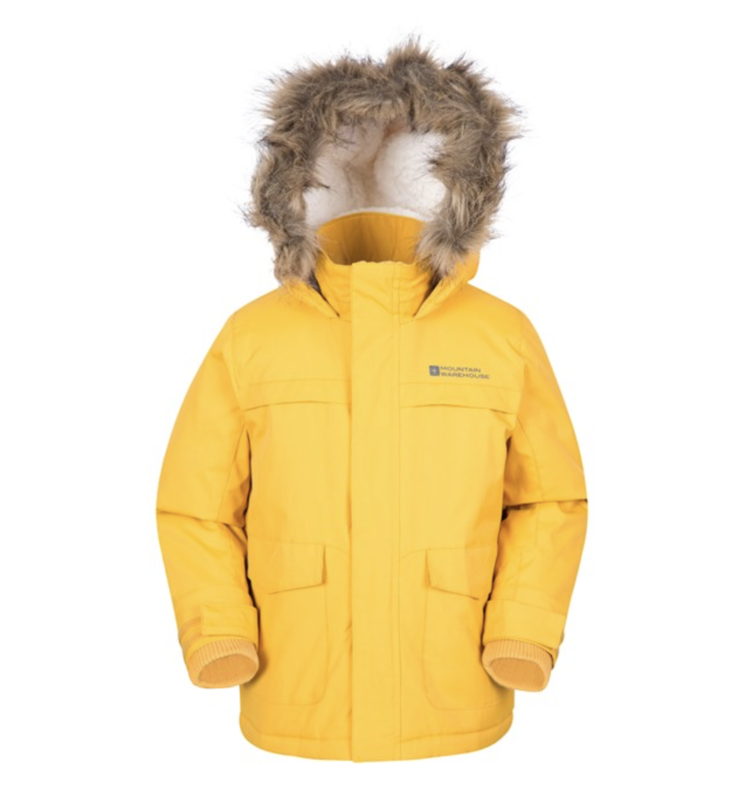 It features two front pockets, adjustable sleeves with elasticated cuffs for keeping out the wind and snow and a large zip which is easy for little fingers to use. There are reflective strips on the front and back of the jacket, perfect for dark winter evenings. 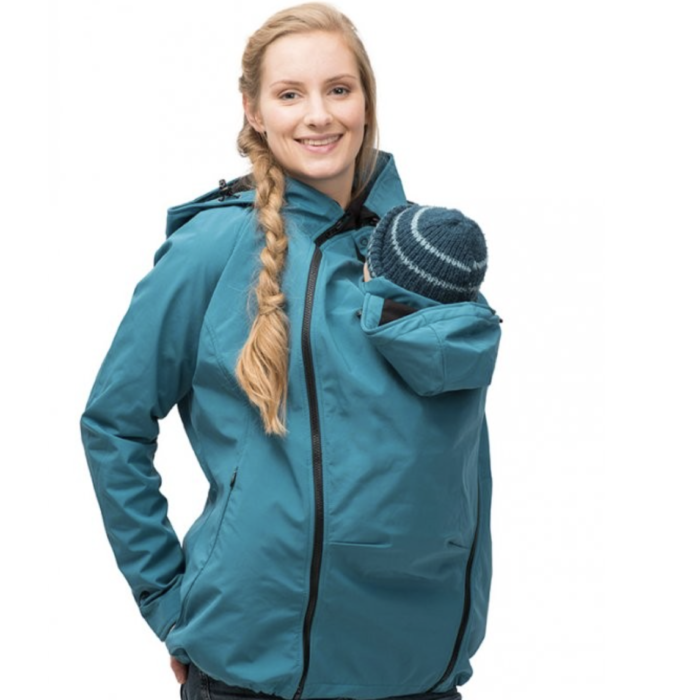 If you are planning on introducing your little one to skiing then this is the perfect jacket, with details such as a pull out ski pass holder and snow skirt. This jacket is so warm it can withstand the iciest mountain conditions. Once you are back from the mountains the snow gaitor can be zipped out and the jacket transformed into a fun, functional and super warm winter coat. 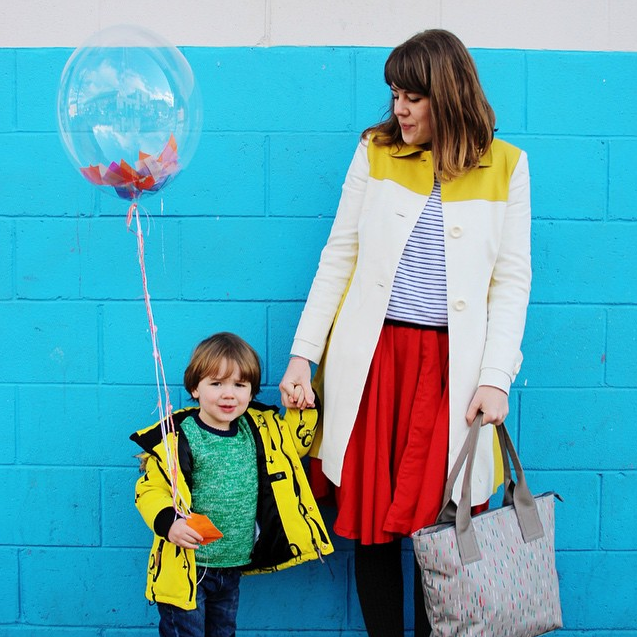 The jacket is machine washable, which is a huge bonus after those days spent splashing in muddy puddles! !